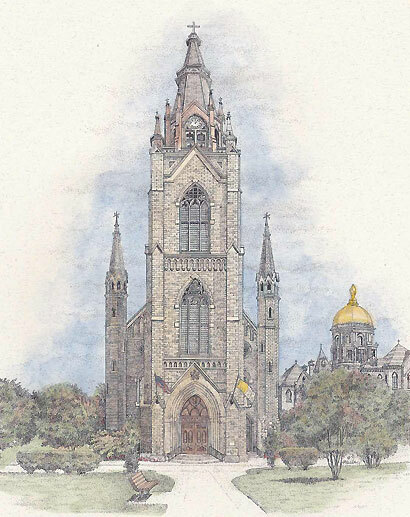 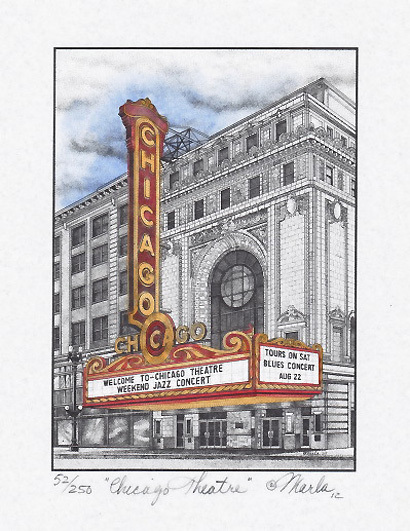 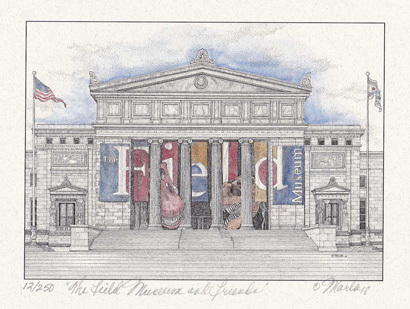 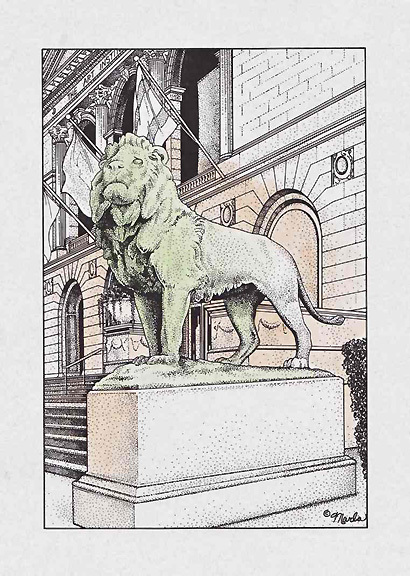 These hand-tinted prints are signed and numbered and are available in an 8 x 10 size. 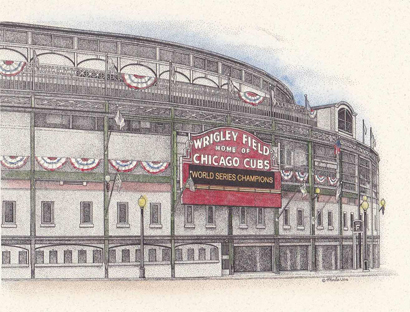 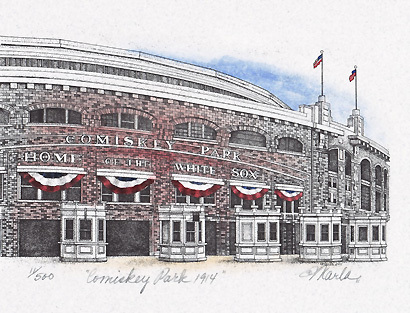 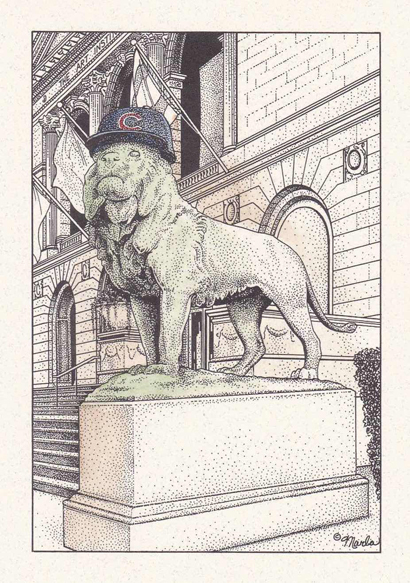 Wrigley Field World Series 2016, Art Institute Lion Champions, Chicago Harbor Lighthouse (The Crib), Basilica of the Sacred Heart at Notre Dame, Navy Pier, Chicago Skyline, Patriotic Field's, Wrigley Field, Comiskey Park, Old Water Tower, Art Institute Lion, Chicago Theatre, and The Field Museum. 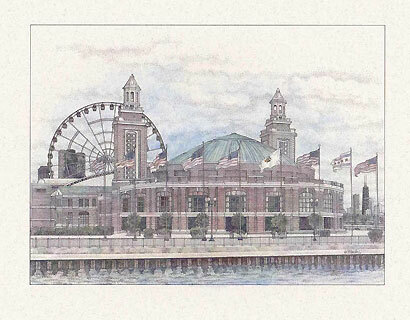 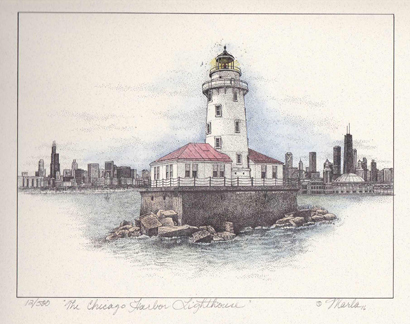 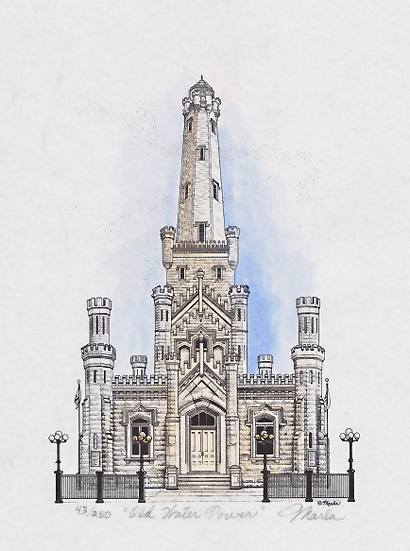 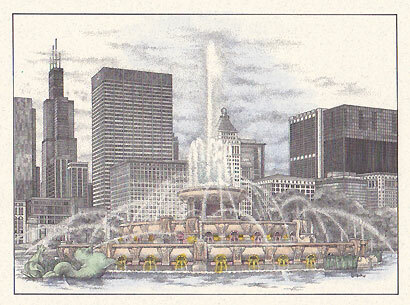 Buckingham Fountain and the Lighthouse are available in 11x14, 8x10 and 5x7 sizes.